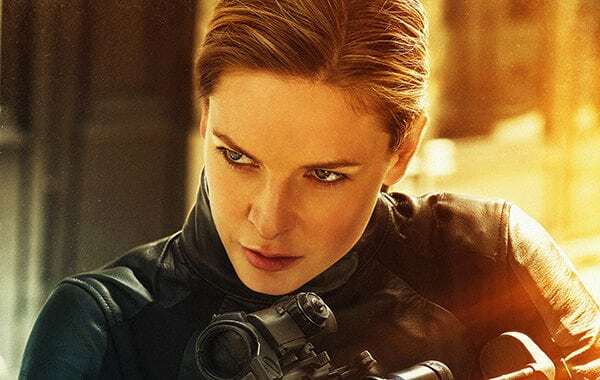 Actress Rebecca Ferguson has confirmed on the ITV programme Lorraine that she’ll be reuniting with co-star Tom Cruise and director Christopher McQuarrie on the seventh instalment of the Mission: Impossible franchise. Ferguson made her debut as former MI6 agent Ilsa Faust in 2015’s Mission: Impossible – Rogue Nation, and reprised the role for last year’s hugely-acclaimed follow-up Mission: Impossible – Fallout. It was recently announced that Paramount Pictures has tapped McQuarrie to return to the director’s chair for both Mission: Impossible 7 and Mission: Impossible 8, which will shoot back-to-back once Tom Cruise completes work on Top Gun: Maverick. So far, Ferguson is the only cast member confirmed as returning alongside Cruise, although it has been rumoured that McQuarrie is keen to bring back both Alec Baldwin and Henry Cavill in some capacity. Mission: Impossible 7 is set to open on July 23rd 2021, with Mission: Impossible 8 following on August 5th 2022.